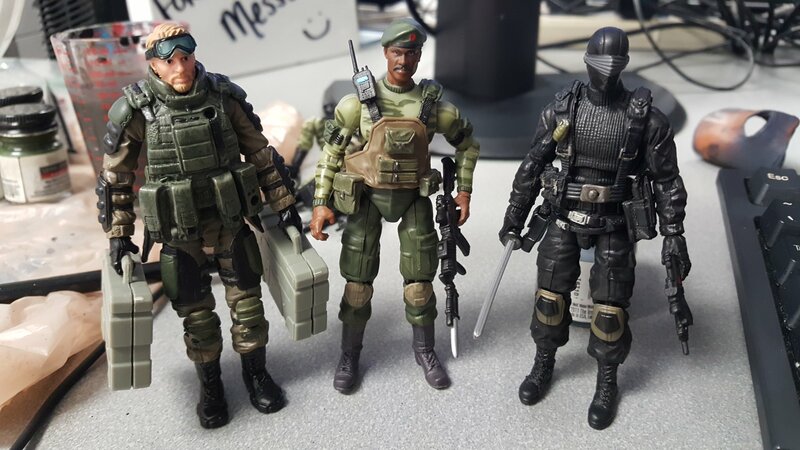 So I have a few GI Joe's that have been rattling around in my part box and on my shelf for the past few years, but I've only recently really given customizing a try. I'm working on updating and modernizing a few of the characters as sort of how I imagine they'd look. Right now Shipwreck is my current WIP. I have the older 25th version, and I like his overall style, but I think he could look a bit more rough and ready. 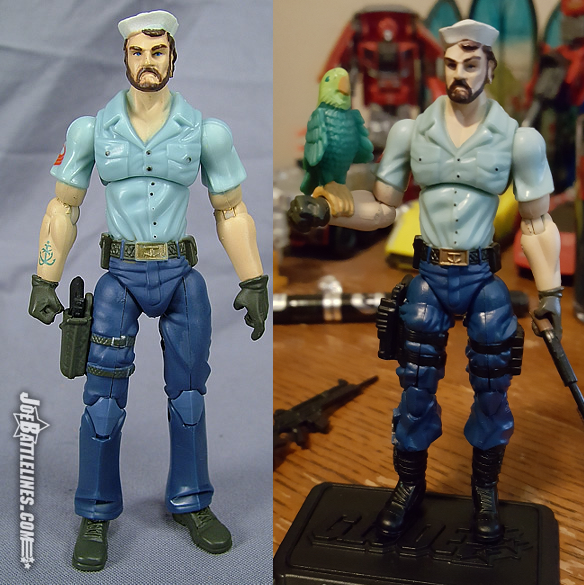 I swapped him to boot tucked pants, and I'm working on getting him geared up for nautical action. I've already posted these three in finished, if anyone has any tips on how I can improve I'd love to know. To be honest that SW is pretty sweet as is, it is almost a shame to rework him. The Dollar General Blue Wave 1 Blue Shipwreck or 50th are perfect starting points for a more rough and tumble SW.
Keep up the good work! Maybe a bandolier, webgear or other weapons? A battle-ready Shipwreck should be armed with more than a parrot, a pistol and a hook, right? You are definately doing interesting things. I am curious what is in your parts box. 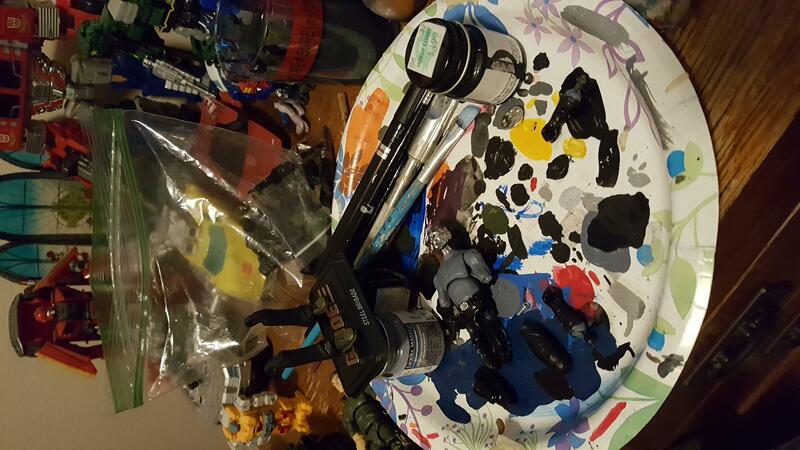 Well right now I don't have much of a parts bag for GI Joe, its mostly a ziplock baggie with what few figures I already had in my possession getting little upgrades and reworks. Right now a fairly obvious next up is drying. Debating what to do with his forearms in terms of either sweater or gauntlets. I say gauntlets and maybe some unique looking body armor.